This clock is unique in a lot of ways. The retro flip down clock combines high precision electronics with steampunk design, and it is gear-operated with flip swatches. The base of the clock, its spine, and its frame are all made of solid metal. The flip down number swatches are designed from extra durable acrylic. 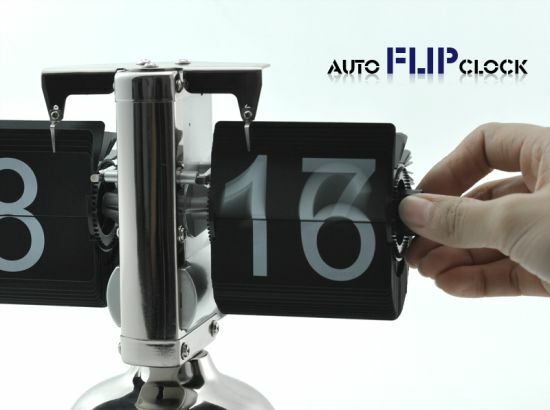 This gives the retro flip down clock an aesthetic grace. This clock is truly a desk clock designed and made to look like a piece of art décor. To adjust the time, use the turn dial which is conveniently placed on the right side of the clock. The retro flip down clock requires just a single D battery that functions smoothly for months on end. It looks cool when placed next to your computer, and this is the perfect gift for family and friends alike. 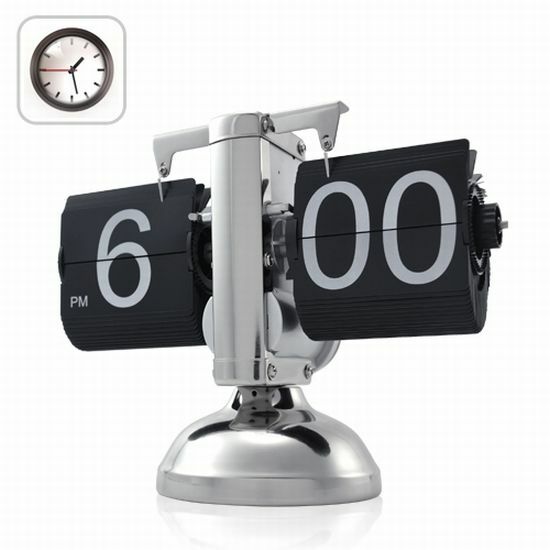 This elegant retro flip down clock is designed and marketed by the China wholesale and drop shop experts – China vision. Here are the basic features of the retro flip down clock. 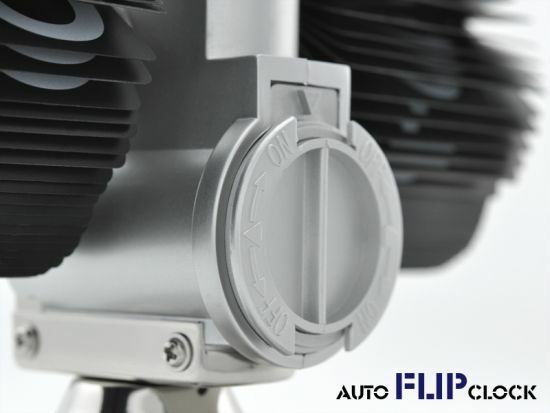 It has cool flip action at every sixty seconds. The clock is powered by a single D battery. The retro flip clock functions on gear operated time machinery. The design is steampunk, has a retro look to it, and is the perfect gift for loved ones. The retro flip down clock comes with a twelve hour AM /PM clock. It sports a flip down minute and hour display. Time, on this clock can be easily adjusted. Once you place the order for this unique retro flip down clock with China vision, you become eligible for a number of benefits. Your order gets processed and shipped within twenty-four hours. The clock comes with a twelve-month warranty and you get a number discounts, too. China vision prides itself on offering the best customer support services. Even though every gadget anyone owns comes with a built-in clock, still, it’s hard not to be able to tell the time and having to keep reverting to the time display on your cellphone. In actuality, this retro flip down clock gives you a much needed break from the digitalized lives that we lead. Truly speaking, the retro flip down clock has character. The tiny plastic pieces just keep flipping as time changes slowly and steadily. 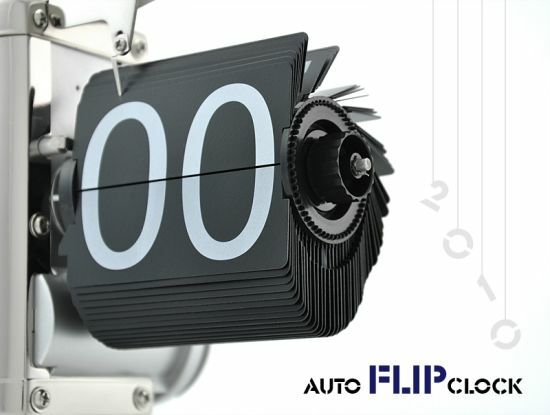 The retro flip down clock is the right gift for all those who love retro stuff and are dead against digital stuff. It is a cute gadget to have on your work desk for telling you the time. Since it is gear operated, its source of power is a gv battery and you need not wind it up for power at all. The time just keeps flipping down at every minute and hour. Enjoy your days with the cool and suave retro flip down gear operated clock and as the minutes and hours flip down, may all your work schedules and targets too be achieved on time. It is priced at $33.76. If all of us have clock designs such as Gear Clock and Programmable Message Clock, there will be no reason left for anyone to run behind time. Hey everyone. Interesting subject for a blog. I have been checking out a lot of blogs and forums lately. Some are really informative some are entertaining and some are a real bore. I must say, good job Raunek Kantharia on this blog, I will be sure to look in again real soon.